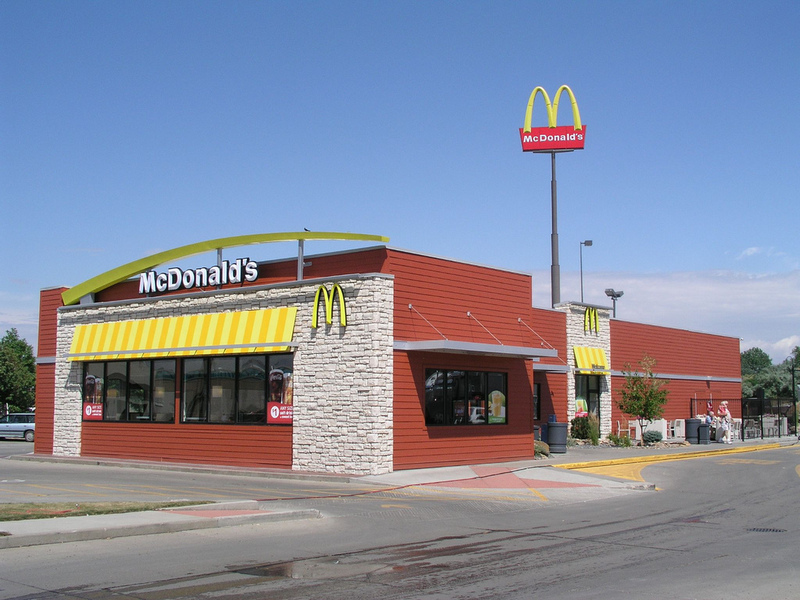 One night, McDonald’s called the police about a transient who refused to leave the restaurant. I was close by, so I answered up to assist. How hard could it be to ask a transient to leave a business? When I got there, I couldn’t help but laugh. There was a homeless guy sleeping in a booth on his right side with his leg sticking out into the aisle. His left arm and leg were on top of the table, like it was his personal body pillow. The sound of his snoring echoed and vibrated off the plastic seat like it was a rhythmic dance. This guy wasn’t just napping; he was in for the night. The only thing missing was a blanket and a stuffed animal. The restaurant was pretty busy at the time with people eating and minding their own business. It was like they were used to seeing a homeless man having a sleep over. I walked over to the guy and tried to wake him up, but he was in a deep, alcohol induced coma. He smelled so bad I wondered how people could still be eating around him. It was one of those smells that stayed with you. It was a mixture of beer, toe jam and body odor all in one. Another officer arrived and he couldn’t wake the guy up either. By now, the entire restaurant was watching us between bites of french fries and Big Macs. We shook the guy numerous times, but he only proved to be a 160lbs paper weight. The fire department finally arrived and loaded their new found treasure onto a gurney. He snored the entire time as they took him to the ambulance. As I was about to leave I wondered if McDonald’s was going to clean the table. Who knows what kind of germs that guy had. I certainly wouldn’t want to eat at that table without a good cleaning. I walked over to the manager and explained to him that they should clean the table before letting customers eat there. The manager then sent someone over there as I left. It was a funny thing to see. I only regret not taking a picture of sleep beauty. Oh well. I’m sure this won’t be the last time I see something like this. Coming soon to your end of paradise. Like other government intrusions into the operation of privately owned businesses, CA Penal Code: “An Act to End Discrimination Against the Residentially Impaired”. It will be a criminal offense to harass, bother, annoy, speak to or ask to leave any residentially impaired person who has parked his/her smelly drunk/drugged carcass upon the private property of any licensed business no matter how much it harasses, annoys or pisses off the owner/operator of said licensed business. Probably only a misdemeanor for the first offense but bumps to felony grade for a second offense or if the RI person is the relative of a politician or movie star.